Metal Lockers NYC. Lowest overall cost. Lifetime Warranty, Quick deliveries. Complimentary Layouts. 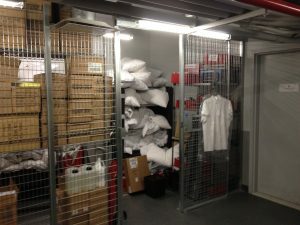 LockersUSA.com based in NYC Over the last 40 years our team has installed Lockers, Shelving, Rack and inventory cages in numerous buildings in the five boroughs. Our experience can help you determine the exact lockers needed for your staff. The type of locker is based on available space and the position of staff members at the lowest overall cost. P(917) 701-5795. Two Tier lockers provide space saving solutions and good storage for locker users. 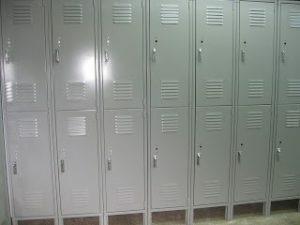 for single tier lockers shown above is 12″ wide x 18″ deep x 78″ wide. Two tier Lockers shown below maximize space well. 2 tier lockers (stacked) allow for hanging of coats (to the hip) to hang neatly. Two tier lockers come with coat hook. The ideal size for 2 tier lockers (shown above) is 12″ wide x 18″ deep x 78″ high (includes 6″ legs. 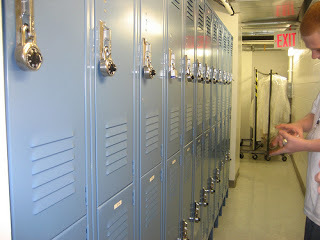 each locker is 36″ high. Locks: Metal Lockers NYC stocks padlocks and combination locks. Padlocks can come key controlled. Each lock uses a different key and management can be provided with master keys. Combination locks cab be installed in the door or combination padlocks can be supplied. Lockers with combination padlocks. LockersUSA also stocks built in combination locks in NYC. Combination locks are ideal for the restaurant and hotel industry. Each lock comes with 5 different combination numbers. As employees leave the combination number can be easily changed to the next available number up to 4 times before going back to the original combo number. Master keys are provided for management and control charts. the control chart details the locker number, current employee and combination number currently being used. When the locks are installed management is provided with a tag of each employee to hand out when assigning lockers, detailing the locker number, combination number and how to use the combo lock. one side of the tag is in English, The other side of the tag is in Spanish. If your facility already has combination locks we can provide additional locks for the new lockers programmed to your existing key control system. Contact us now for immediate assistance. P(917) 701-5795 or email Sales@LockersUSA.com. 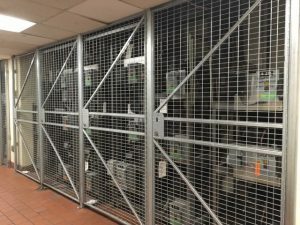 Inventory Cages installed in NYC Hotel. pumps and electrical panels. Free on site layouts daily. LockersUSA’s NYC office and warehouse is open Monday through Friday 7AM to 5PM and Saturdays from 7AM to 1PM. P(917) 701-5795 or Sales@LockersUSA.com. Metal Lockers NYC, Metal Lockers NY, Metal Lockers New York City, Steel Lockers NYC, Employee Lockers NYC, School Lockers NYC, Metal Lockers New York. 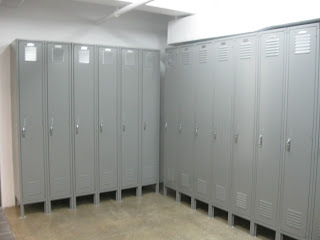 Metal Lockers delivered daily to New York City, Queens, Brooklyn, Bronx, Staten Island.